Over the years I’ve developed a few tips for writing, which I found really useful. They differ slightly for blogs, as it is usually recommended for a blog that the content is limited to between 3-500 words, to always use an image and so on. I do try to always use images, and try to remember to add my copyright to them, when they are my own, or from where sourced. However I rarely consider my word count, as this space (my blog), although shared publicly, is still my space, and some days I need to write more. Personally, I find writing is the best therapy I have ever had, and it’s also a whole lot cheaper than a psychologist or narrative therapist! 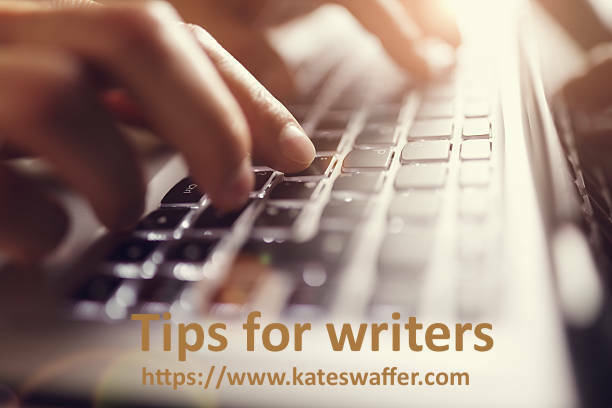 Make a time each day to write, which works best if it is the same time, to set up the habit of writing, regardless of whether you think you have inspiration, or feel like you have writers block. This also sets you up as if you are going to a ‘real’ job, which eventually convinces you that you writing is a real job. Set a minimum of 500-1000 words per day – the year I did the NANOWRIMO, plus the year of DAILY blogs, really set up the habit of writing. For example, I have at least 2-300 draft blogs at any one time, and another book coming along, as I still write EVERY day, and when possible, at the same time. Start writing, about any issue, any random topic, even if it is not related to what your writing project is about. If writing a book, DO NOT edit it, nor worry about style or the book covers until the end of a full chapter or section – these things actually cause writers block. What doing these things will do, is take your brain from the CREATIVE side, to the ANALYTICAL side, which is really unhelpful. Do not worry about the or title of the book; make a list of them as they come into your head. By the time you finish writing your book, you’ll have a list of titles you can then choose from. Choose a topic specific to what you want to write about, then start reading about it. Read every day, about anything and everything. Watch an interesting movie, which for me are usually those based on true stories or dramas, not crime or action; also children’s movies work quite well for inspiration. Go for a walk, sit in a park, walk along a beach, sit on a jetty. Go to a coffee shop or your local mall and crowd surf. Spend time with interesting friends. Do not drink alcohol or too much coffee (once I would have suggested red wine and cigarettes at the office desk, but am pleased to say I think the possible immediate benefits do not outweigh the long-term harm!!). If you want to write a cook book, read recipe blogs and books, and cook (and eat!!). Take time out from writing or thinking about writing. Transcendental Meditation (works better than other forms of meditation for me). Do yoga or other regular exercise, and take care of your diet. Hang out with people who write, unless you feel like doing this makes you feel less confident of your own ability to write. Write just for fun, removing the pressure of wanting (needing?) to be published. Get others to read your work (blogging does this). Read everything you write out loud – the best way for you to ‘hear’ what others will read; this is also imperative for editing. Start with an idea, a character or even a single word, then just write around it. Write the synopsis of your story to see if you can sketch it out, then start from the beginning or end. Remove distractions, e.g. shut off all technology – phones, internet, door bells at home; even put a ‘sleeping’ or ‘busy’ notice at your front door, if you get distracted by things like washing at home, go out, e.g. to a library. Have more than one writing project on the go, then if you get writer’s block on one, you have something else to think about; this also removes boredom for me. Stop putting it off until tomorrow, next week, until you feel better, you feel more focussed… just start writing (setting up the regular daily routine really helps me with this). Save EVERY single draft, so that as I make any changes, I can still go back to previous versions, as sometimes changes don’t end up working out so well from an original idea or draft! Finally, be brave! You’ll need to be once you are published. Becoming a serious blogger and writer!!! Great list! Daily writing is such a great habit to build. I have been doing this for over 100 days, and my writing has improved threefold! Great post! Thanks for a dose of inspiration! Poetry works for me too, but not always for anything more than poems! I really needed to see this post now, thanks for sharing Kate!